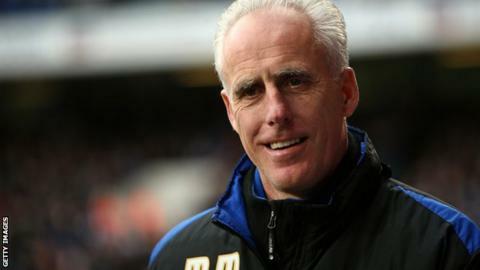 Ipswich Town manager Mick McCarthy believes his side still have a chance of reaching the Championship play-offs. The Tractor Boys currently sit ninth in the league, five points of the play-off places with six games remaining. After their 2-0 loss at Blackburn, they are one of four teams sat on 58 points trying to chase sixth-placed Reading. "It's still there to be played for and we'll try and get as many points as we can and we'll see where that leads," he told BBC Radio Suffolk. "We need something out of the game [at Huddersfield on Tuesday] because if we get beaten and other teams around us win then it will be exceptionally difficult." Town have failed to finish above eighth place in the Championship since owner Marcus Evans bought the club in 2007. The Portman Road club, who have not reached the play-offs since 2005, travel to Yorkshire to face Huddersfield on Tuesday night before facing Doncaster at home on Saturday. "I looked at the three games this week and thought if we had got five points, two points away and three at home, I'd have thought that was a good week," McCarthy added. "Now we've got the chance to get six. "It's about your own performance and if we go up there and think we need to get three points and are right bang at it we could always win the game."